image: three British soldiers on exercise in a grassy landscape in West Germany. 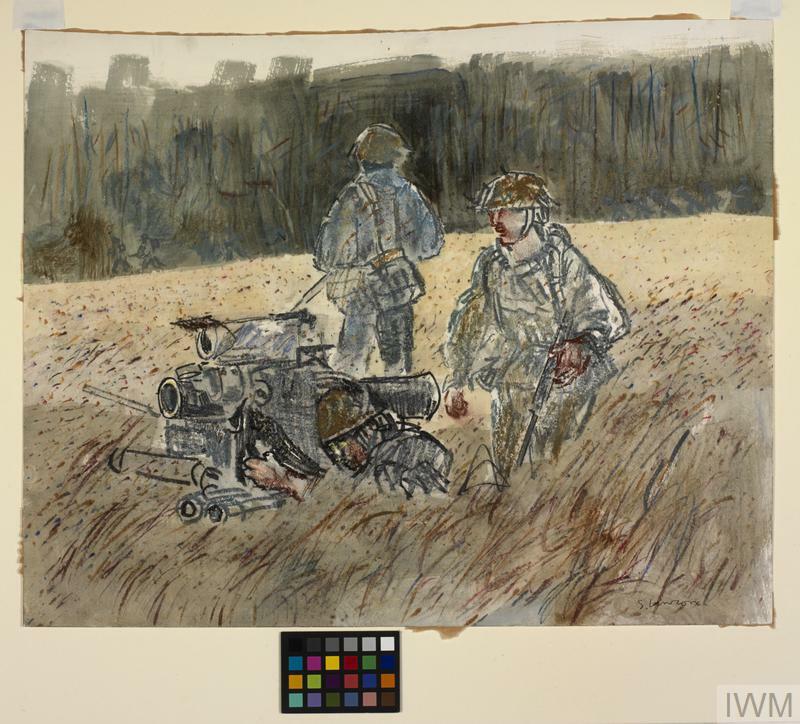 One of the men sits in the grass manning a large anti-tank mortar, with two comrades standing behind him, one looking towards a wood on the horizon. 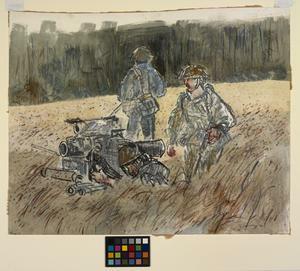 AN OFFICER PREPARING TO FIRE THE VIGILANT ANTI-TANK WEAPON, AS PART OF EXERCISE "ROB-ROY" IN GERMANY, SEPTEMBER 1967.